I stopped over to visit the 3rd member of the Tamba Bay Replica Association a few days back and noticed a nice Fiero project under weigh. 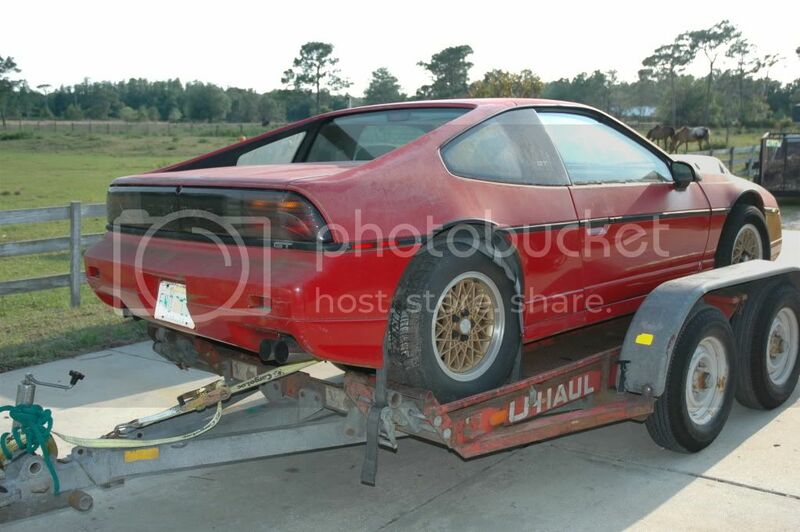 Sean purchased a 360 Body from John Watson to install using a 88 Fiero GT as a base for the replica. Sean is a great fabricator and this car is sure to be a work of art. 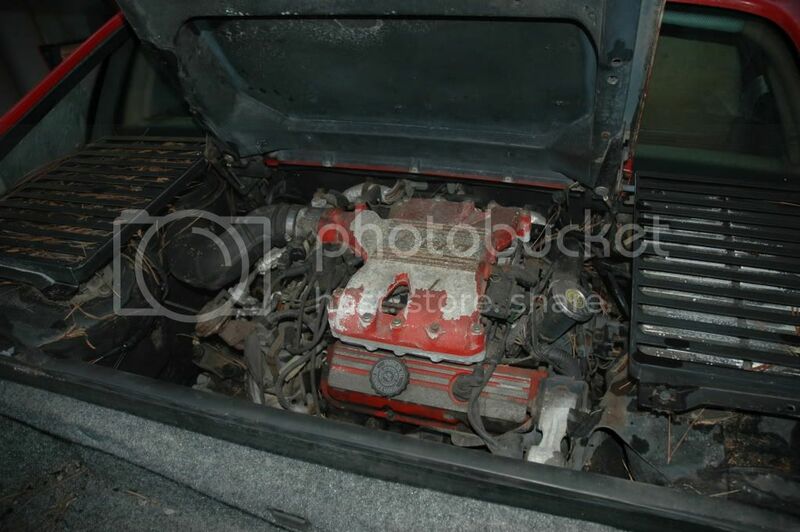 Sean is looking for a DOHC 2.8 to replace his tired Fiero engine. He has most of the parts for the conversion but needs a good engine (just in case you know someone who has one available). I am not sure if he pulled the drivetrain out the same night he picked up the car but it was close. He might of enjoyed dinner with his significant other, Robin first. 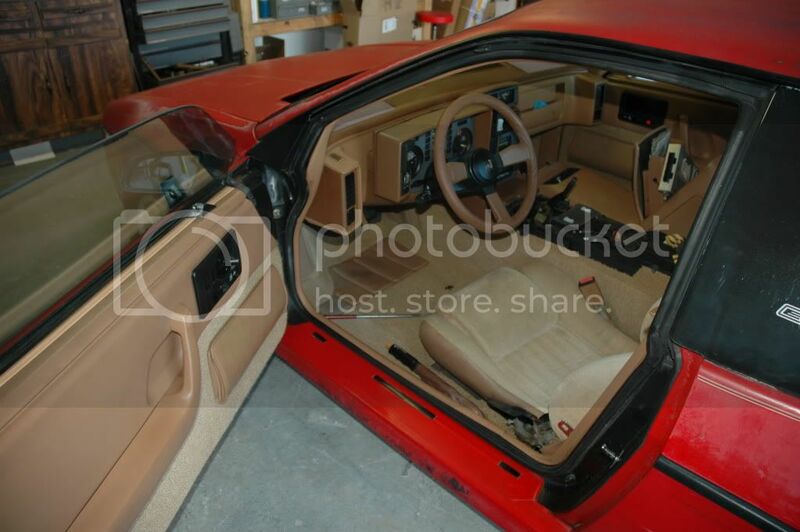 The interior of the stock Fiero is in great shape. Maybe he will save a few parts for someone who wants to restore one. Here is the way John's parts come out of the molds. Pretty nice, eh! 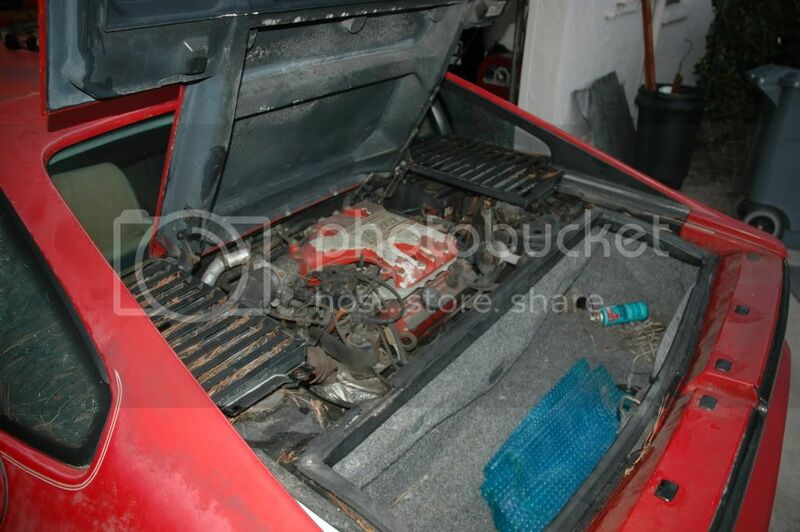 Just add some brackets, extend the chassis of the Fiero, add a bunch of OEM Ferrari parts, a few hundred hours of fabrication and you are almost ready to install the engine. Thanks Dave for starting the thread. I would of gotten around to it one of these days. I'll post some new photos soon of the tear down in progress. I went to look at a 3.4 DOHC Grand Prix the other day. What a piece of junk! The motor had a list of problyms a mile long. Although I'm sure something will turn up soon. Last edited by MacGyver; 06-10-2016 at 08:59 AM. Let me know if I can help you. Sometimes a second set of hands and eyes can help. Thanks for the offer. I’m sure I will be calling on you soon. I would like to remove the rear window. Preferably without breaking it. Would you mind helping me with that? I think I remember you mentioning that you had an engine hoist stored at someone’s garage. I will be in need of one at some point so I can start dismantling my cradle assembly. Would you let me borrow it for a while? Sean: Put the coffee on, I would be happy to help on Friday. The engine cherry picker is at Bondo Bob's house. I will call him so we can go pick it up. You can use it as long as you like. I will only need to borrow it back to change out a transaxle when I locate a good one. In order to remove the rear window, we need an old guitar string and a few little pieces of wood to make a tool to cut the rubber holding the glass in place. Fairly easy job with two of us.